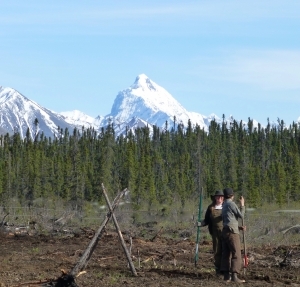 Have you dreamed of having your own homestead? Do you want to learn about having your own vegetable garden? Don’t know where to start? Join us in early June as we plant the garden. Learn about soil, start seeds, transplant, and plant. 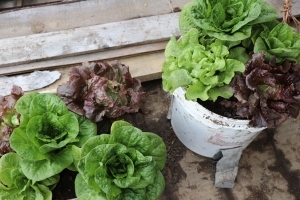 Gain skills for success with your own garden, large or in containers. See what it takes to live on an agricultural homestead. Learn to work with what you have and help the garden take shape. This step by step workshop will take you through the basics of having your own garden. From analyzing soil and adding amendments to transplanting and seed starting, learn the hows and whys of what we do on our homestead garden. Get your hands dirty and help the garden take shape in an idyllic setting. Views en route to the homestead. June 1: Fly into the homestead. 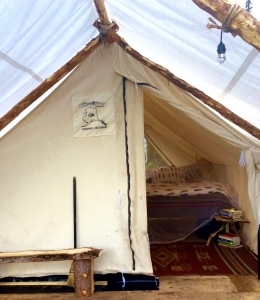 Settle into your cozy wall tent, your accommodations for your stay. Meet the animals, take a welcome tour of the facilities, garden, and property. Enjoy a welcome dinner around the campfire. June 2: After a delicious and hearty breakfast, meet in the garden to learn about soil amendments, soil health, and the unique challenges of soil at the homestead. Take part in a fun exercise to learn about soil acidity. Add amendments to the soil. After amending, take part in transplanting trees into our young and growing orchard. 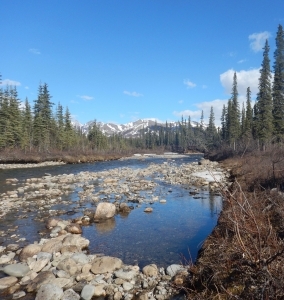 In the afternoon, take a picnic lunch out on a day hike along one of our creeks. If you are feeling ambitious, take a dip in our creek! 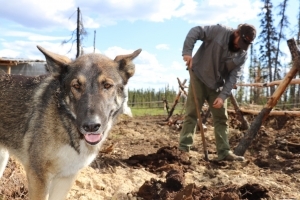 Head back to the homestead, clean up, and enjoy dinner around the campfire. June 3: Enjoy a hearty breakfast. Meet at the garden bench for a lesson in seed starting. Learn what kind of seeds should be started, how to make your own potting soil, and how to take care of precious seedlings. Start your own seeds. Enjoy a picnic lunch down by our second creek. Come back to the garden to transplant seedlings started by us in weeks prior. Enjoy some down time, reading and writing or exploring around the property. Enjoy dinner around the campfire. June 4: Another hearty breakfast under mountain views. Meet in the garden to learn about direct seeding. What plants are good candidates for direct seeding? What are the benefits of direct seeding? Drawbacks? How do you plan successional plantings? What are different methods of direct seeding? Get out there and plant! 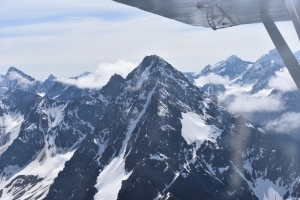 Take the afternoon for an adventure into the foothills of the Alaska Range. Have a wilderness picnic dinner to views of the sunset in the mountains. 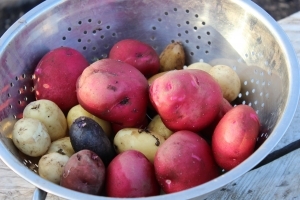 June 5: Fried potatoes and eggs for breakfast to prepare for the discussion and planting of potatoes & alliums. Look through and sort seed potatoes, talk about varieties and purposes. Plant shallots, garlic, and onion sets. After your hearty lunch, spend the rest of your day how your choose: On a guided horseback ride, hiking, or relaxing next to one of our beautiful creeks. June 7: Farewell Breakfast. Fly back to Anchorage. 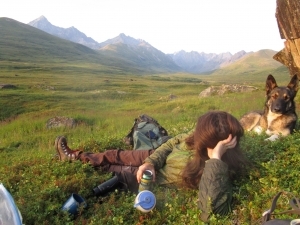 Continue your Alaskan vacation, or head home with new knowledge and friends. Contact us to book! We look forward to meeting you. Subject to cancellation if inadequate sign up, so encourage your friends!